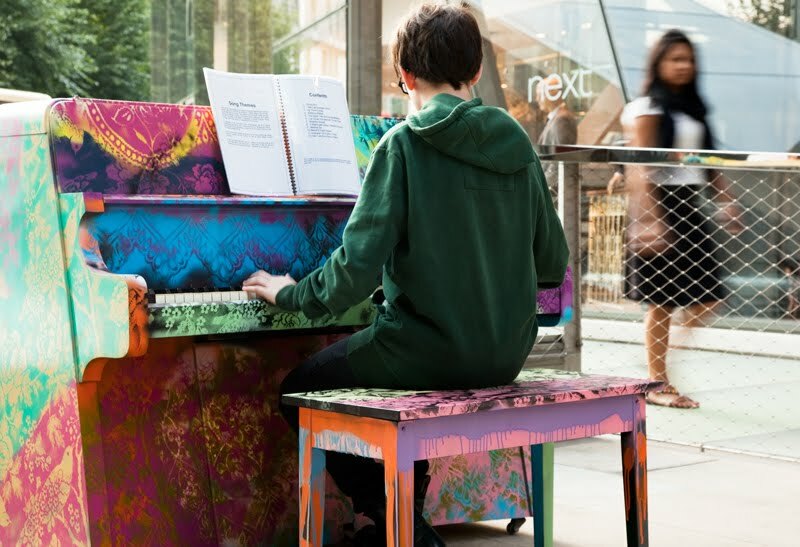 Since 2008 we've had a couple of weeks in summer when pianos appear all over the city titled 'play me I'm yours'. This year they have colourful art work painted on them. London seems to be full of extremely talented pianist's who give us wonderful impromptu shows. Oh wonderful. We have this in Germany, in Dortmund, too. It's called play me. A great event. But here the pianos are not painted. I posted this here. Love all the music in the streets. A truly wonderful idea. You've admire anyone who can sit at a piano in the Street and just play. What fun! I'd love to stumble on to an impromptu concert. What a brilliant idea, my Sweetheart would have a blast with that! That's a great concept! Would have liked to see this. Hope you find time to enjoy some for me. This is really a cool idea. I wish Hartford had one. I have a piano I want to get out of the living room.